A economia invisível do babaçu e sua importância para meios de vida em comunidades agroextrativistas. Report of Paramyrothecium roridum causing circular leaf spots on impatiens walleriana in Brazil. Autoria: BORGES, R. C. F.; SANTOS, M. D. M.; ROSSATO, M.; GIORIA, R.; BRUNELLI, K. R.; FONSECA, M. E. N.; BOITEUX, L. S.; REIS, A.
Desempenho agronômica da aveia granífera (Avena sativa L.) em sistemas de manejo do solo em ensaio de longa duração. 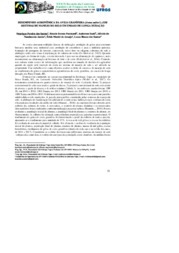 Stability of nanocomposite edible films based on polysaccharides and vitamin C from agroindustrial residue. 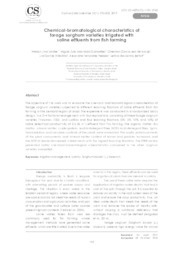 Chemical-bromatological characteristics of forage sorghum varieties irrigated with saline effluents from fish farming. 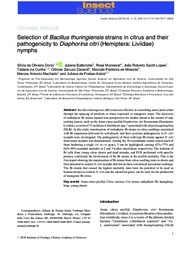 Autoria: SIMOES, W. L.; GUIMARÃES, M. J. M.; ARAUJO, G. G. L. de; WILLADINO, L. G.; PERAZZO, A. F.; BELFORT, L. dos S.
Selection of Bacillus thuringiensis strains in citrus and their pathogenicity to Diaphorina citri (Hemiptera: Liviidae) nymphs. 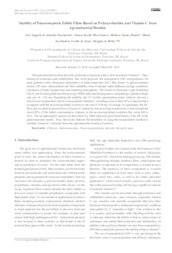 Autoria: DORTA, S. de O.; BALBINOTTE, J.; MONNERAT, R.; LOPES, J. R. S.; CUNHA, T. da; ZANARDI, O. 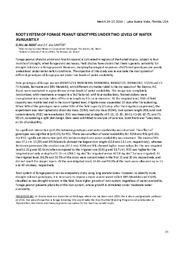 Z.; MIRANDA, M. P. de; MACHADO, M. A.; ASTUA, J. de F.
Root system of forage peanut genotypes under two two levels of water availability. Biodiversity provides whitefly biological control based on farm management. 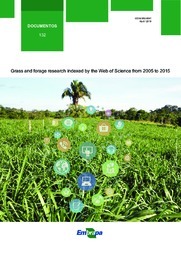 Autoria: TOGNI, P. H. B.; VENZON, M.; SOUZA, L. M. de; SANTOS, J. P. C. R.; SUJII, E. R.
Grass and forage research indexed by the Web of Science from 2005 to 2015. 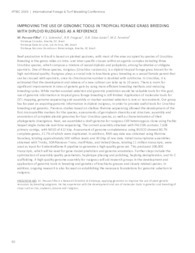 Improving the use of genomic tools in tropical forage grass breeding with diploid ruzigrass as a reference. 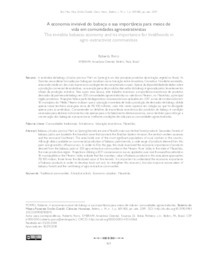 Autoria: PESSOA FILHO, M. A. C. de P.; SOUZA SOBRINHO, F. de; FRAGOSO, R. da R.; SILVA JUNIOR, O. B. da; FERREIRA, M. E.
Mostrando 1 - 10 de 123.790 resultados.